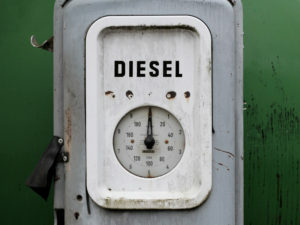 The issues surrounding current and future fleet fuel challenges, including for diesel policies, are to be highlighted in an ACFO seminar taking place this month. Marking the third webinar that the association has held since it switched away from running regional meetings, the event – which takes place on Friday 22 June at midday – will be hosted by ACFO digital chairman Julie Summerell and digital secretary James Pestell, and will feature an expert panel to present on the topic and answer questions. Speakers include Doug Hyett, national fleet sales manager, Volkswagen UK, who will focus on the diesel debate, current and future diesel challenges and provide a manufacturer’s view on future fleet fuels. Meanwhile Stewart Lightbody, head of fleet services, Anglian Water Services, and an ACFO member, will provide a fleet operator’s perspective on the ensuing debate and will touch on the challenges currently being faced in managing a diesel policy, how drivers’ concerns are being managed and what changes should be made to future-proof fuel policies. And James O’Neill, UK sales director, at international electric solutions provider Ensto, will analyse the top five plug-in vehicle concerns facing fleet managers, the transition to a potential electric vehicle future and what is on the horizon. Webinar registration is via the ACFO website at www.acfo.org or at http://www.workcast.com/register?cpak=3913937228461315.